Major chocolate companies have failed to keep a promise they made a year ago to stop forests in West Africa being destroyed for cocoa production, a campaign group said on December 7th this year. Famous Chocolate making Companies’ Logos. If deforestation continues unabated, Ivory Coast – the world’s top cocoa producer – risks losing all its forest cover by 2034, environmental campaigners say. This gif illustrates how the pattern of deforestation inside Scio has been repeated across the Ivory Coast’s protected area system. Courtesy Mighty Earth. 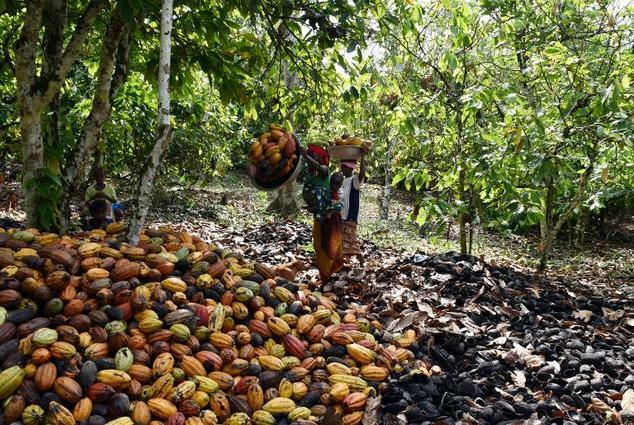 But stopping it is a challenge since the cocoa grown on that land provides livelihoods for hundreds of thousands of farmers and their families. Land is scarce, so poor farmers often expand into forests or parks to raise their incomes, experts say. Land is scarce, so poor farmers often expand into forests or parks to raise their incomes. Mighty Earth recorded 13,748 hectares of deforestation – equivalent to 15,000 football fields – in Ivory Coast’s southwest region between Nov. 2017 and Sept. 2018. This put it on track to reach about the same figure as last year – 14,827 ha – by November, Higgonet said. The group was not able to obtain data as precise from Ghana, but observed a similar lack of change there, she added. Above is the American football field dimensions in meters. The total length of the field is approximately 110 meters long. Most of the recent deforestation hotspots are in rural areas outside protected forests, which is legal but still environmentally damaging, he told the Thomson Reuters Foundation. Mighty Earth also accused companies of not upholding their pledge to stop buying cocoa from national parks. Ivory Coast has estimated 40 percent of its cocoa comes from protected areas. “I feel like people are taking me for a fool. Because if you do the math … somebody’s buying it,” said Higgonet. Courtesy of the Thomson Reuters Foundation. Editing by Claire Cozens and James Gathitu.